In recent weeks, voices of protest have been raised in response to the persecution of Xu Zhangrun 許章潤, a professor of law Tsinghua University in Beijing. From early 2016, in a series of pointed and increasingly urgent essays, Professor Xu had launched his own protest, and he has been uncompromising in his criticisms of the ‘New Epoch’ of Xi Jinping and the Chinese Communist Party. In his essays, in particular those published from July 2018 to January 2019, Xu has alerted readers to the significance of the Party’s political revanchism, warning about what it means for China, as well as what it may well mean for the world (see The Xu Zhangrun Archive on this site). 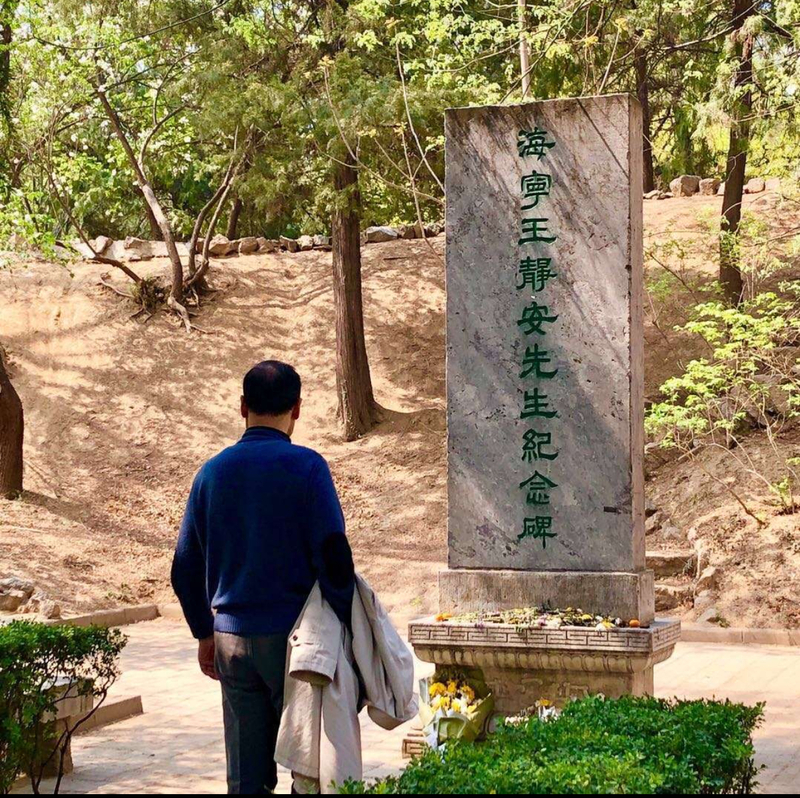 Since late March 2019, when Xu was suddenly suspended from his teaching duties at Tsinghua and placed under formal investigation pending disciplinary action, friends, colleagues and concerned individuals have also protested, both in connection with ‘The Xu Zhangrun Incident’ and in relation to the broader threat to education, research, publishing and civic life that it represents. China Heritage has been publishing some of this material in translation under the title ‘Xu Zhangrun vs. Tsinghua University — Voices of Protest & Resistance’ (an up-to-date list of these works is appended below). Samuel Wade, deputy editor of China Digital Times, has compiled an initial digest of the series and we reproduce it here with the kind permission of China Digital Times 中國數字時代. Like numerous other pieces of sensitive content, this earlier letter is hosted on the U.S.-based codesharing site Github, whose economic value for now appears to offer some protection against censorship. Tsinghua Professor Xu Zhangrun’s essay ‘Protect Reform and Openness’ published early last year [early 2018] was both extremely timely and relevant. It was a powerful rebuttal of the Extreme Leftist Thinking current at the time and a defense of Deng Xiaoping’s policies. I had a similar response upon reading Professor Xu’s subsequent essays and that’s why I couldn’t believe it when I heard the recent news that he had been suspended from teaching by Tsinghua University. How could such a thing happen to a senior professor who defended the policies of China’s Economic Reforms and Openness to the World? What’s happening: is Deng Xiaoping’s banner no longer to be held high? In another compilation of responses, Barmé included a concise three-point rebuttal of “Shan Renping’s” argument by “steely oppositionist” Zha Jianguo, whose activism was the focus of a recent New Yorker article by his sister Jianying Zha. It must have been two years ago that Professor Xu Zhangrun told me that one of the students in his lecture was behaving in such a peculiar manner that he decided to question them [the student’s gender is not specified. — trans]. Eventually, the student admitted that they were appointed to report on the content of Xu’s lectures. They also admitted that they were paid a monthly stipend for this ‘service’ and, on top of that, they were given an assurance that, if they continued to ‘contribute’ in this way for three years, they were sure to secure a place in a research program. The job even had a title: they call such lecture-hall snitches ‘Information Officers’. What amazed me in particular was the fact that this student didn’t think that their behaviour was shameful in any way; it was just a ‘work-while-you-study’ gig! [… I]f, as it is being widely rumoured, things were indeed handled [in ‘The Xu Incident’] the way most people believe, the outcome is diametrically opposed to what was hoped for. To wit: the Incident has undermined rather than enhanced the Party’s Leadership. I don’t want to be too critical of Tsinghua, after all it is also partly an alma mater of mine. But I do hope that, in dealing with this Incident, the leaders of Tsinghua University will show due regard for their university’s reputation, as well as for its future. They need to put far more thought into how they can meaningfully enhance the leadership of the Communist Party at Tsinghua. In another translation, paired with an introductory essay on the dehumanizing Cultural Revolution epithet “Cow Demons and Snake Spirits,” Feng Ling argues for the total abolition of university teachers, given the failure of extensive technological, bureaucratic, and covert student surveillance to effectively rein them in. One essay in China Heritage’s series on Xu’s case has now been removed at its original author’s request, with its original introduction and a single now-anonymous paragraph left intact.